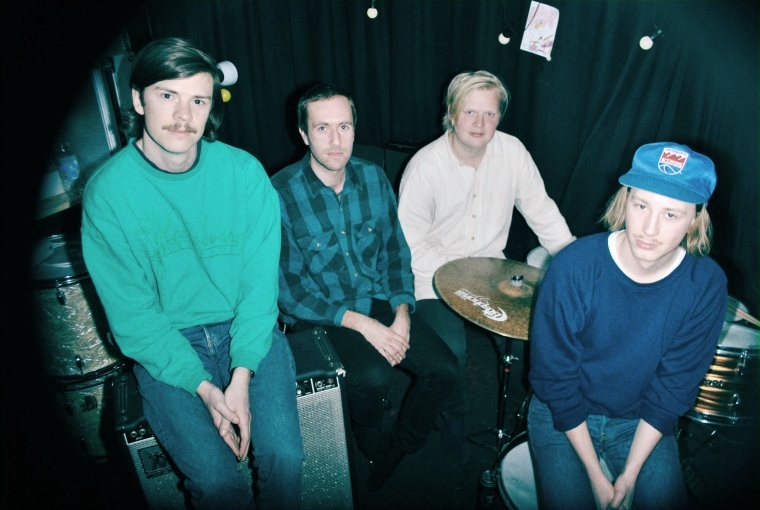 Back in March, The FADER premiered a bubbly song called "Milk," by Swedish four piece Magic Potion. That song filled us up with really good feelings, and now there are even more good things to feel because today Magic Potion shares the whole juicy Pink Gum debut album with us. "Pink Gum is our first born baby album and we’re mega proud of it!" the band wrote in a note to The FADER. "We had a pretty straightforward approach to the whole thing, keeping the songs rough and gooey, simple and spontaneous. Out came ten yummy nuggets, 35 blazing minutes of milkshake-sipping, cheddar-trippin', toxic ooze inner piiz-rock’n’roll™"
Listen to the whole darn thing below. Pink Gum is out May 27 via PNKSLM (US) and Beech Coma (UK) May 27; preorder it on vinyl and cassette.